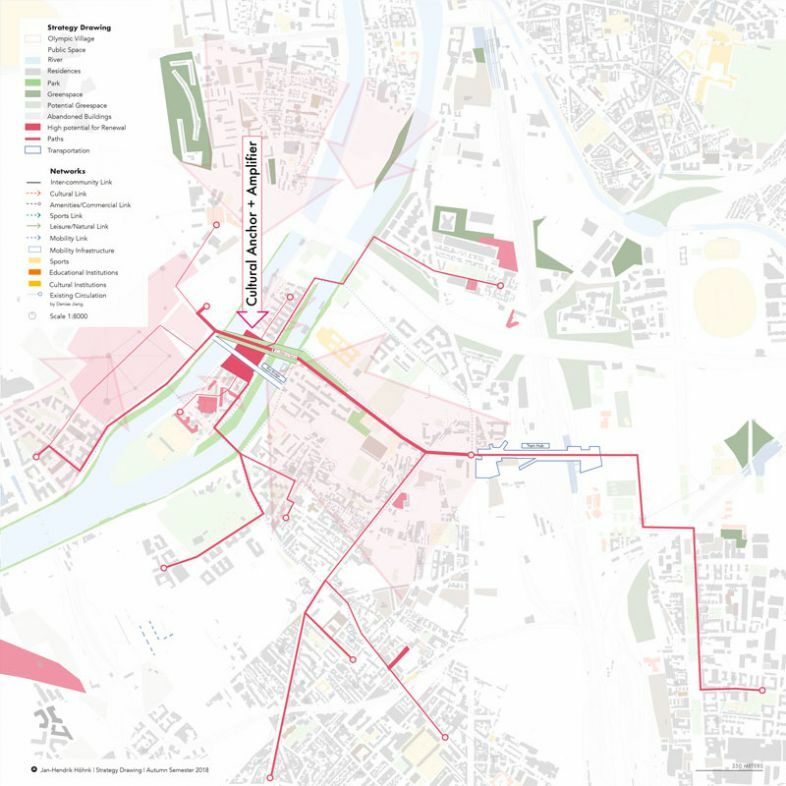 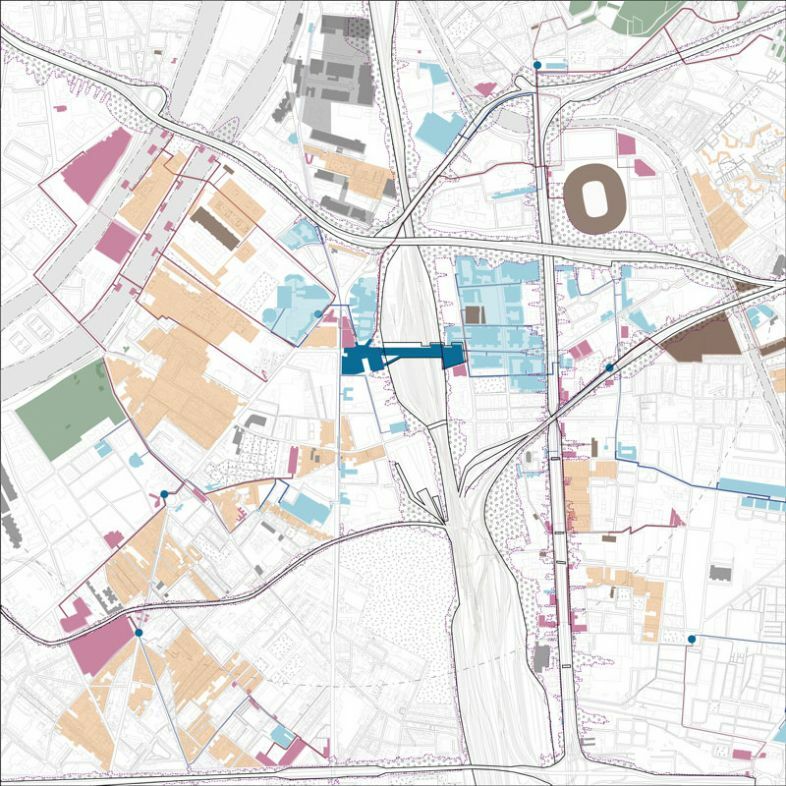 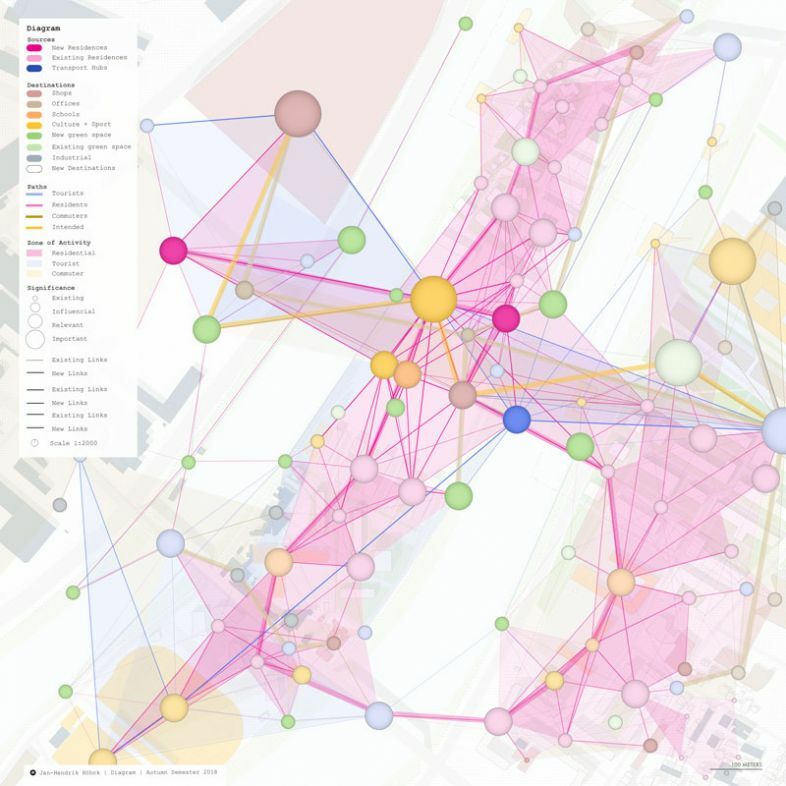 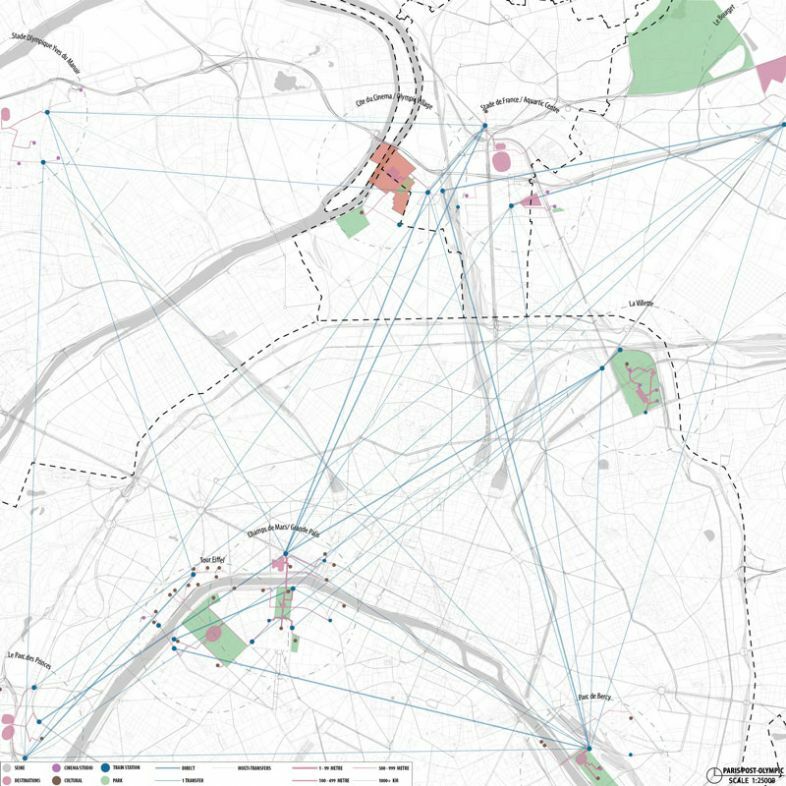 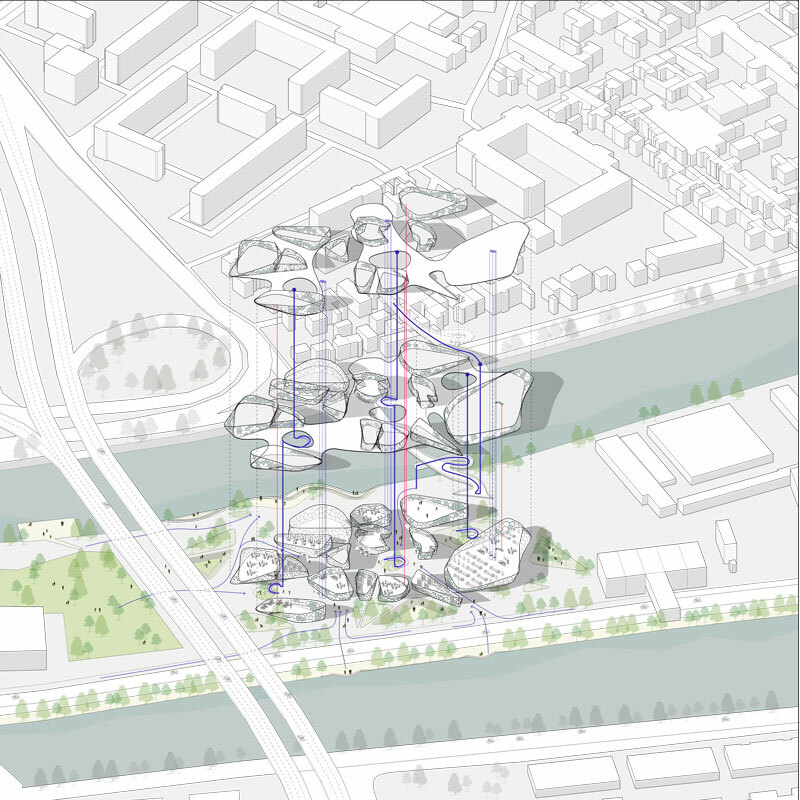 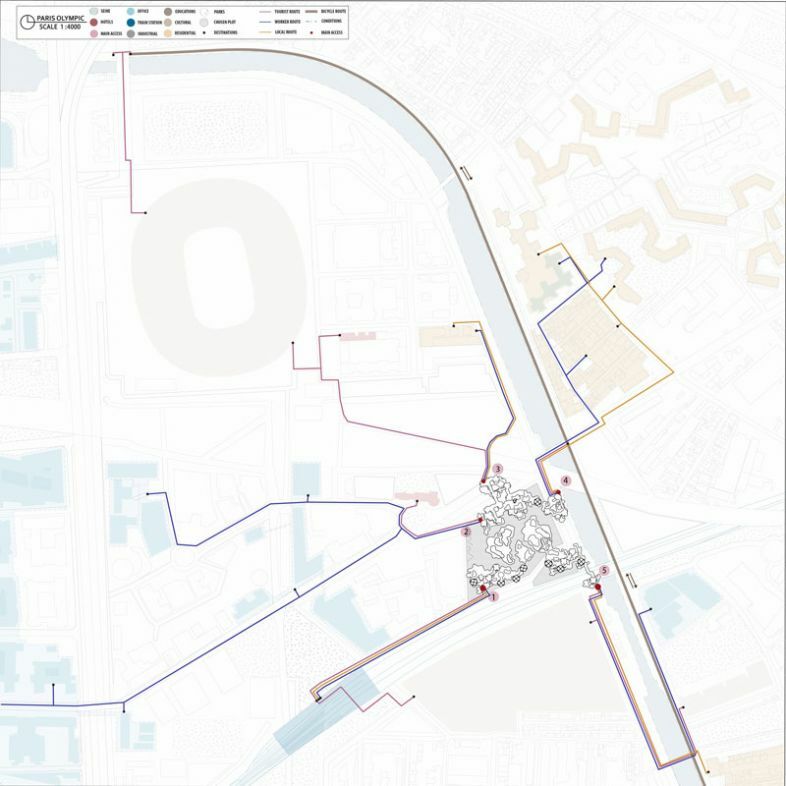 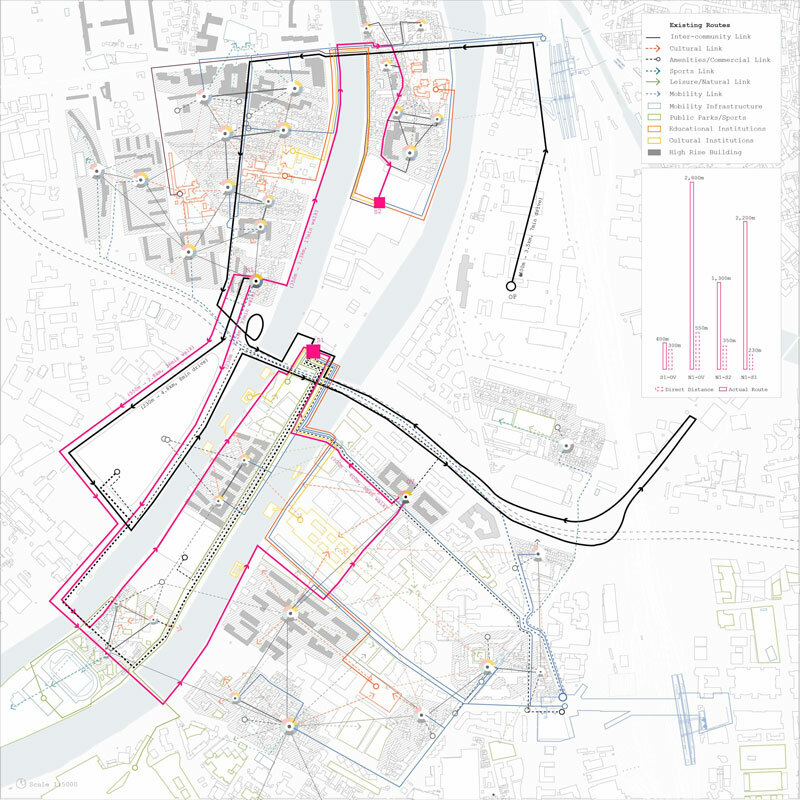 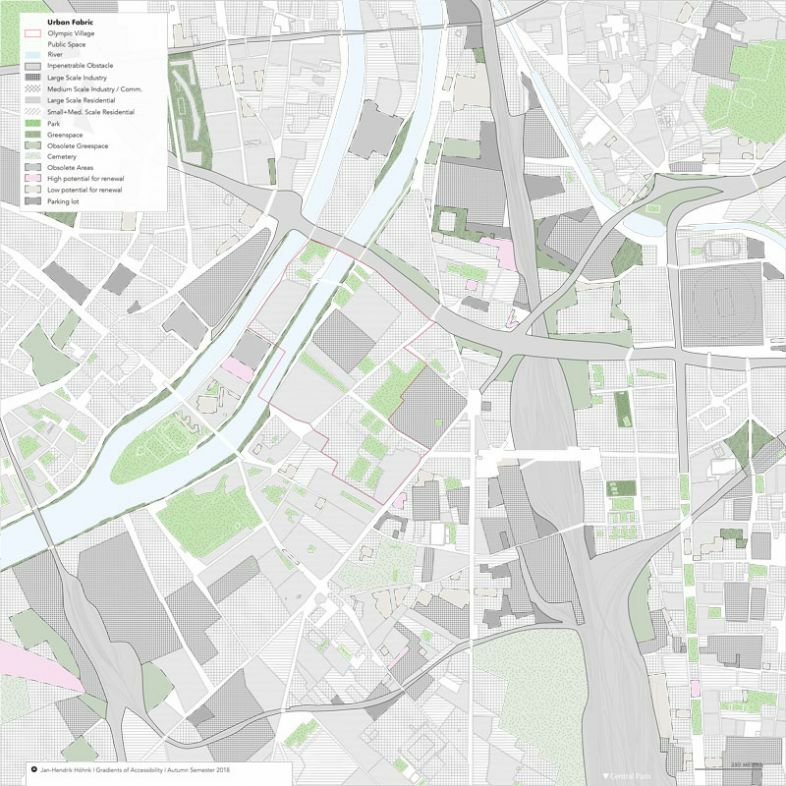 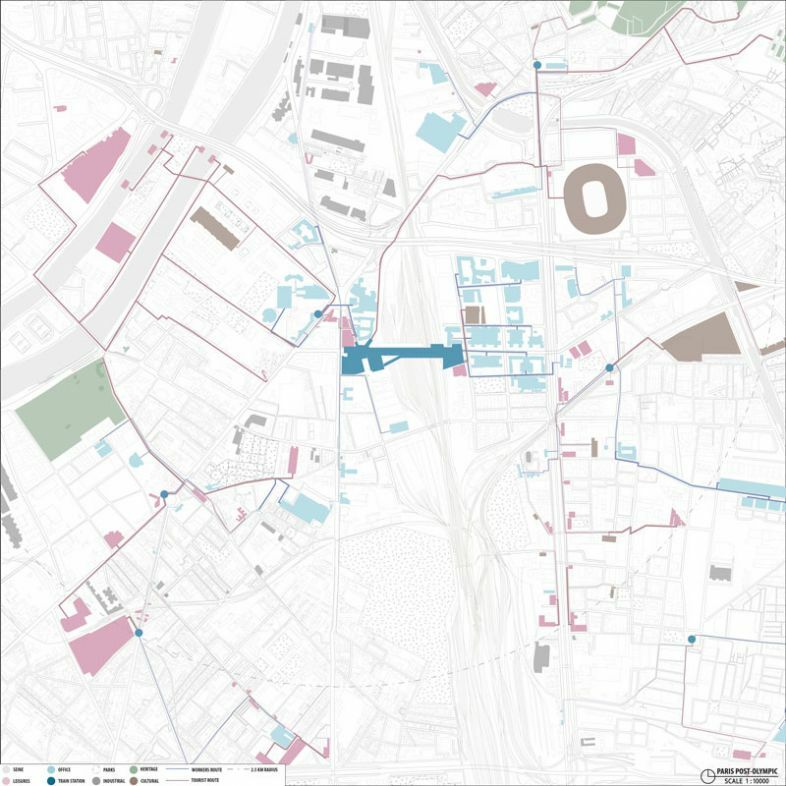 The Autumn Semester 2018 looked at the Paris 2024 Olympic scheme to identify neighborhoods that have potential to strategically evolve and rethink their urbanity. 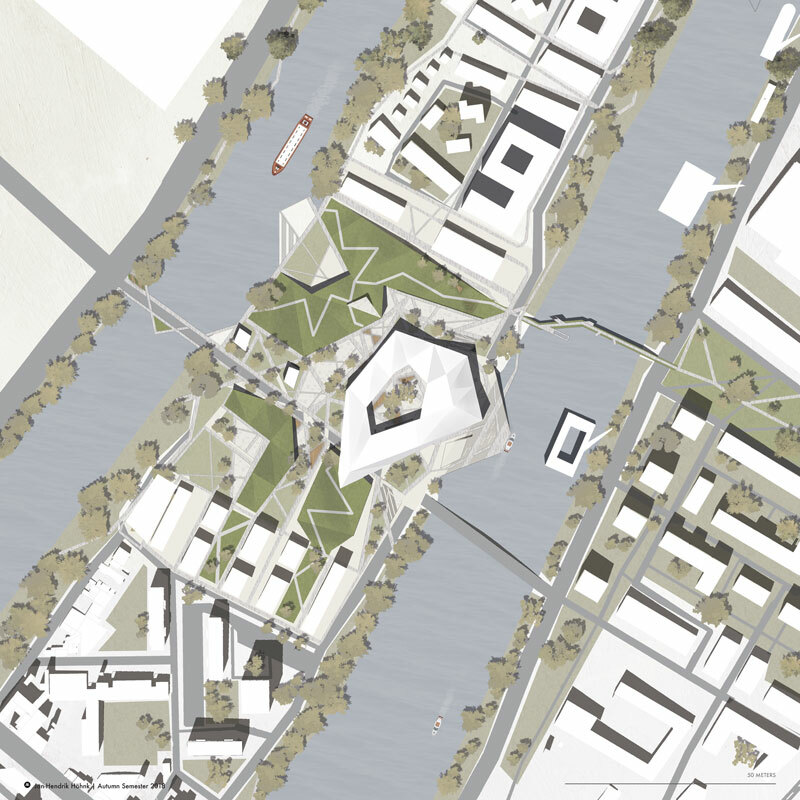 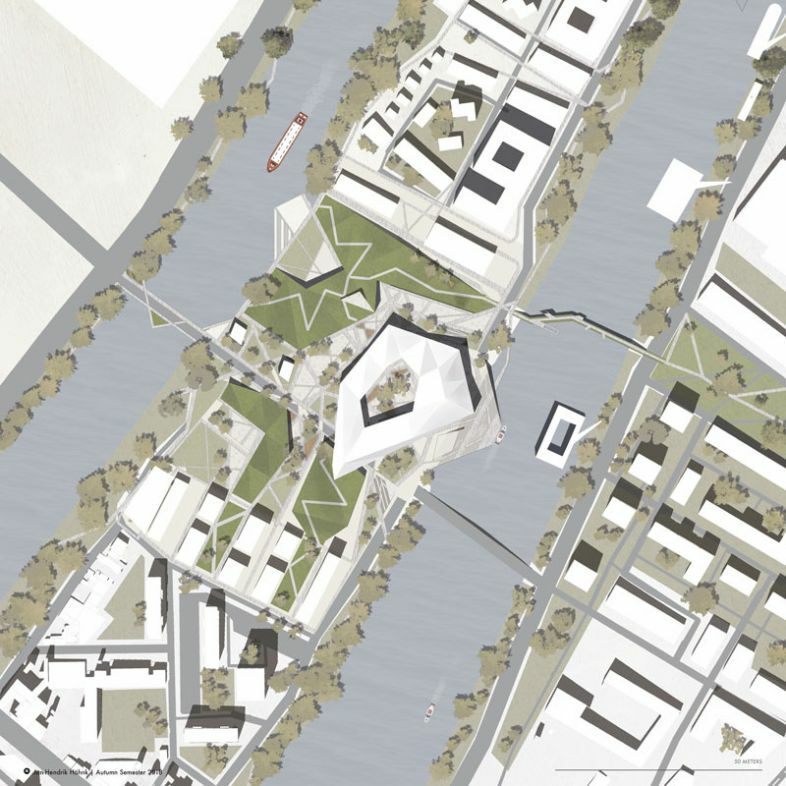 We identified key sites to test architectural interventions that engaged in the vision of the city´s legacy. 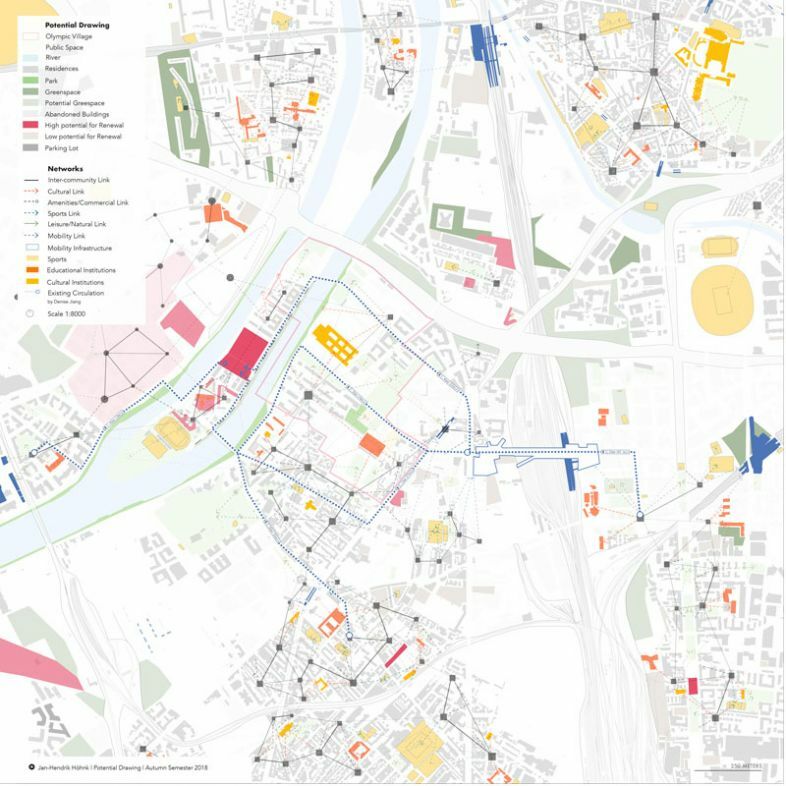 The aim was to explore Work-Live environments that follow the digital and knowledge economy trends to create attractive neighborhoods from unproductive and obsolete areas. 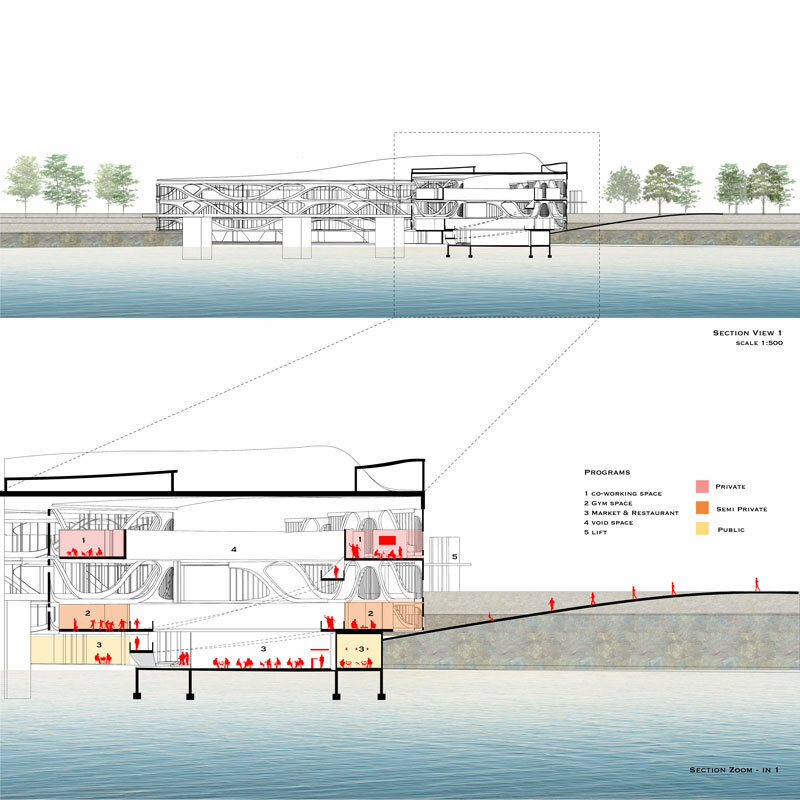 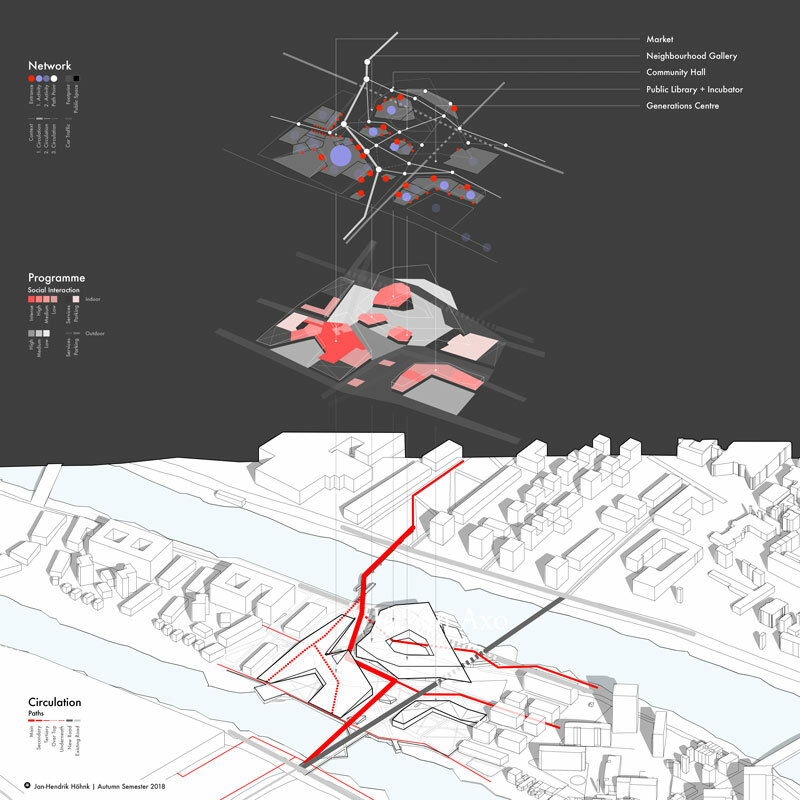 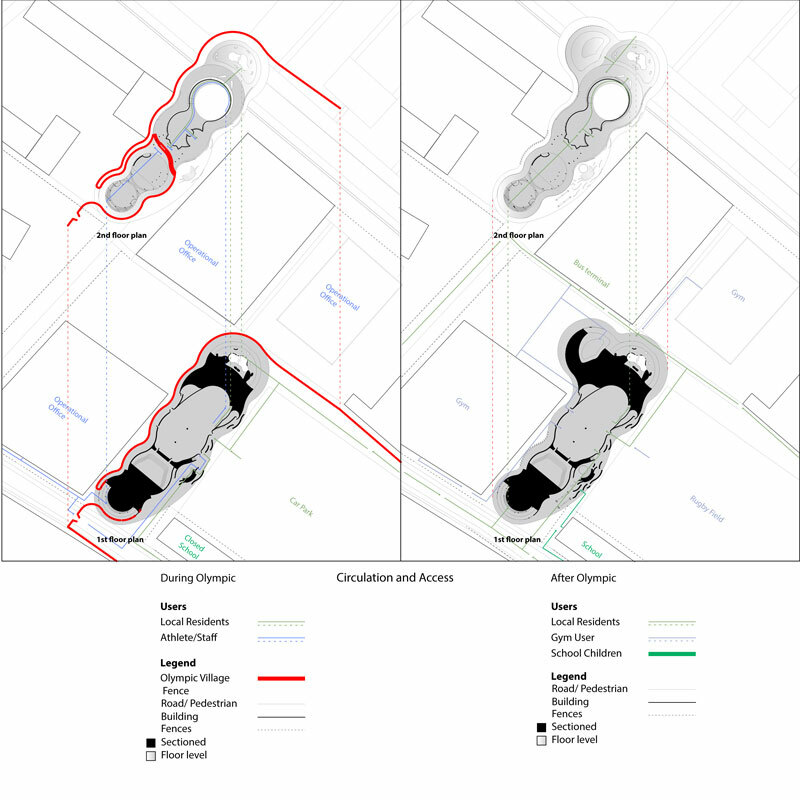 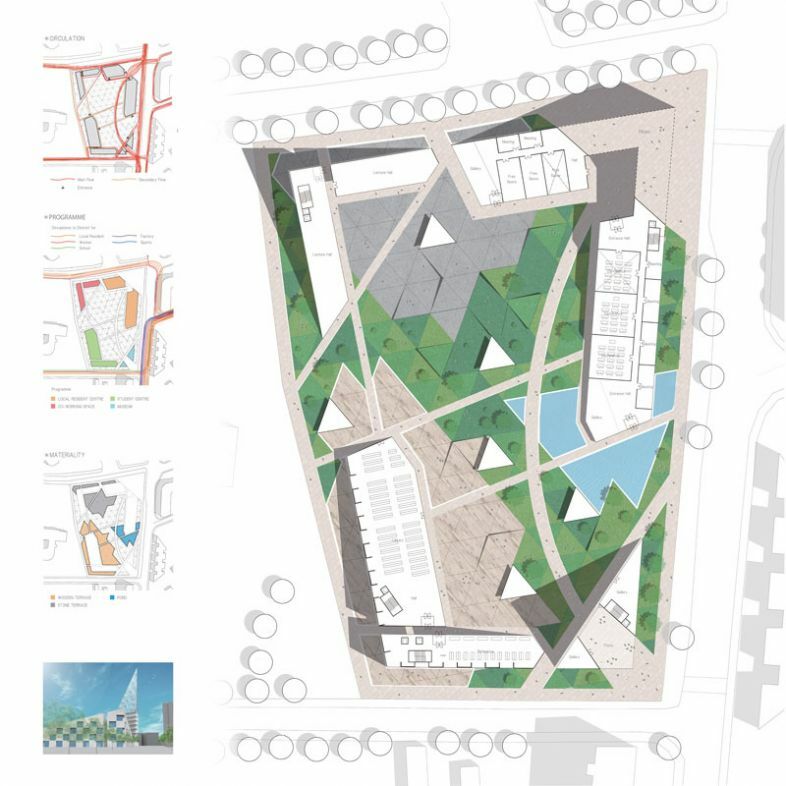 Through group work students looked at the existing conditions of the site and its relation to the city. 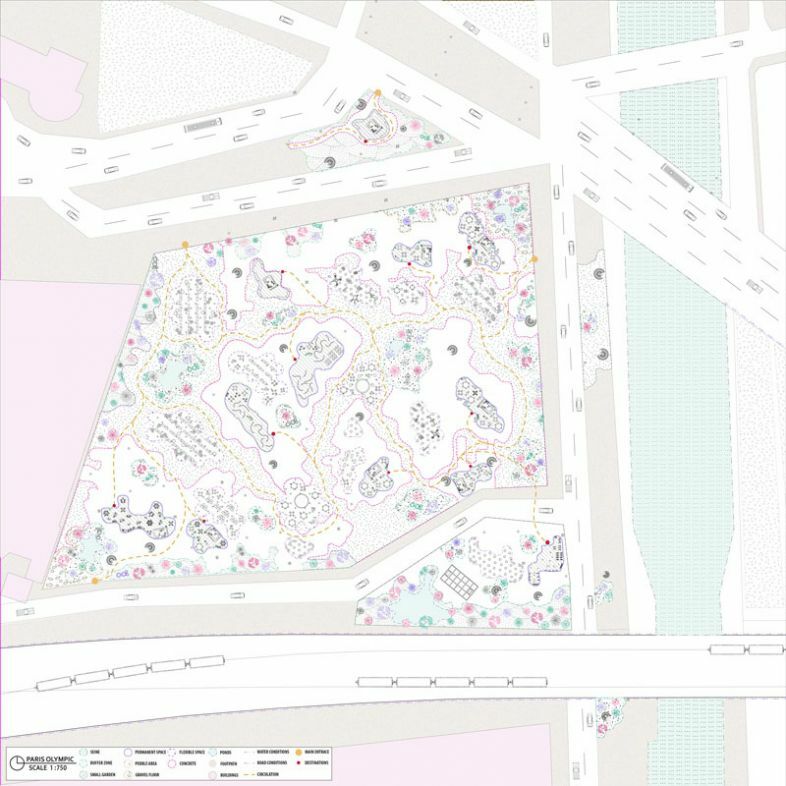 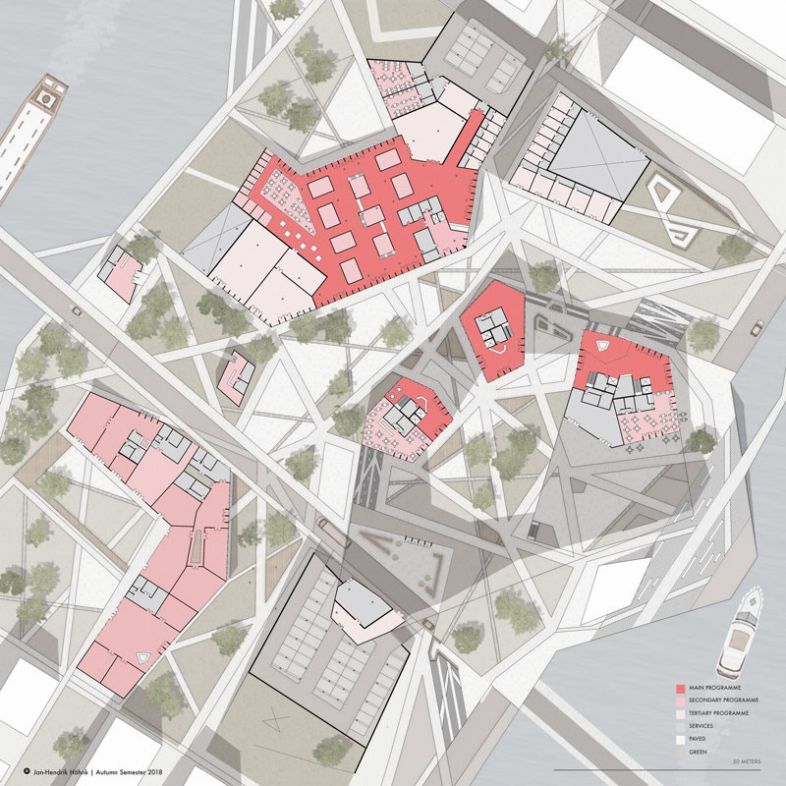 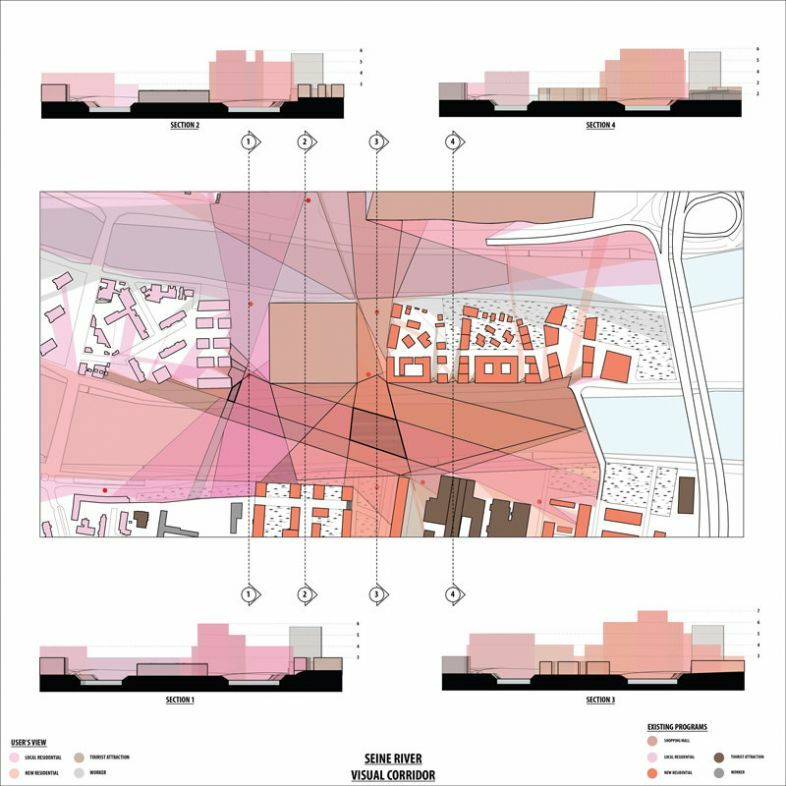 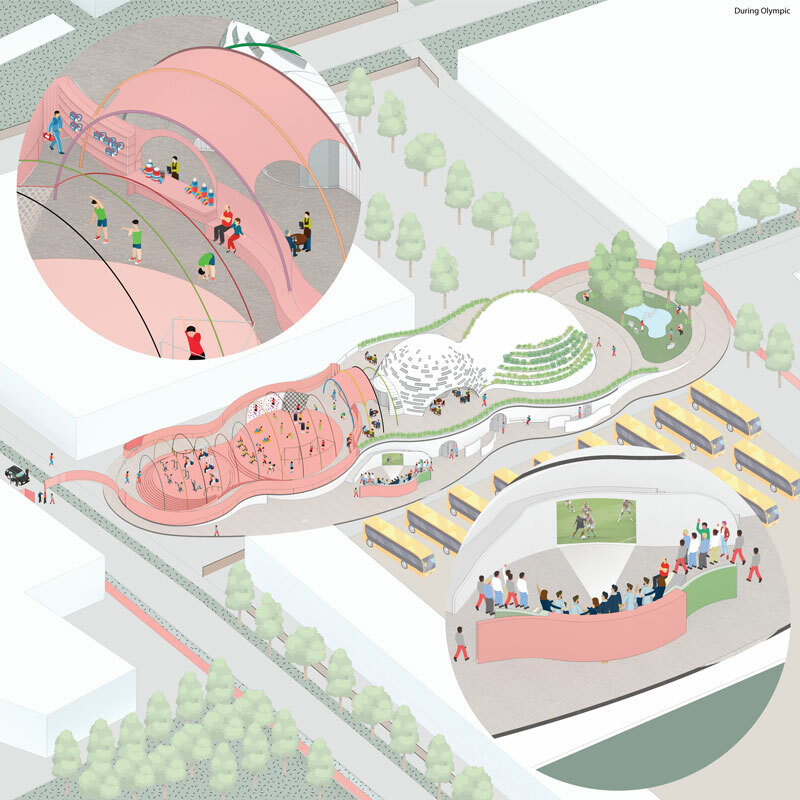 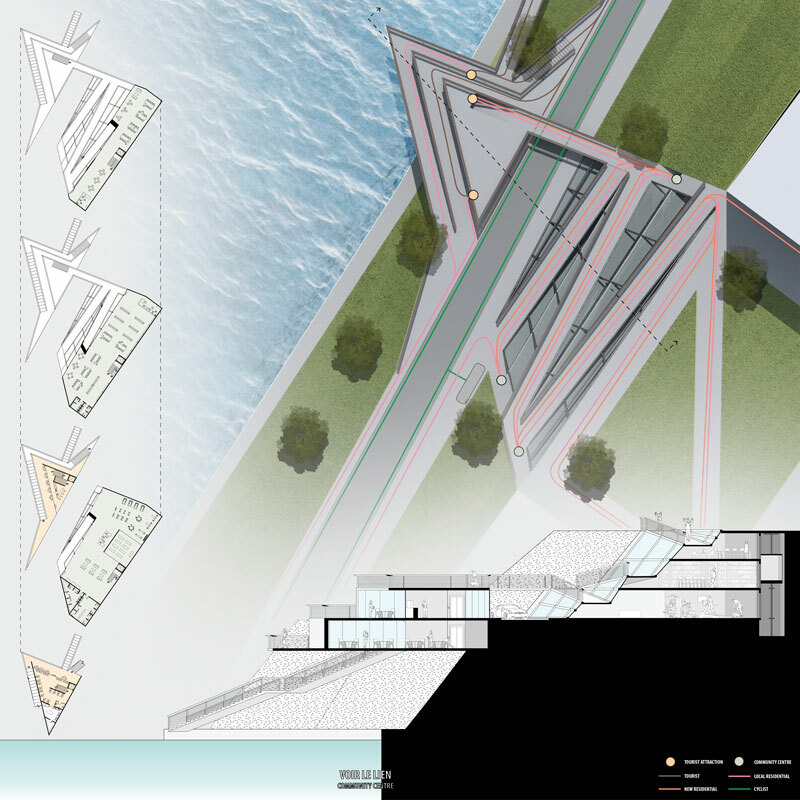 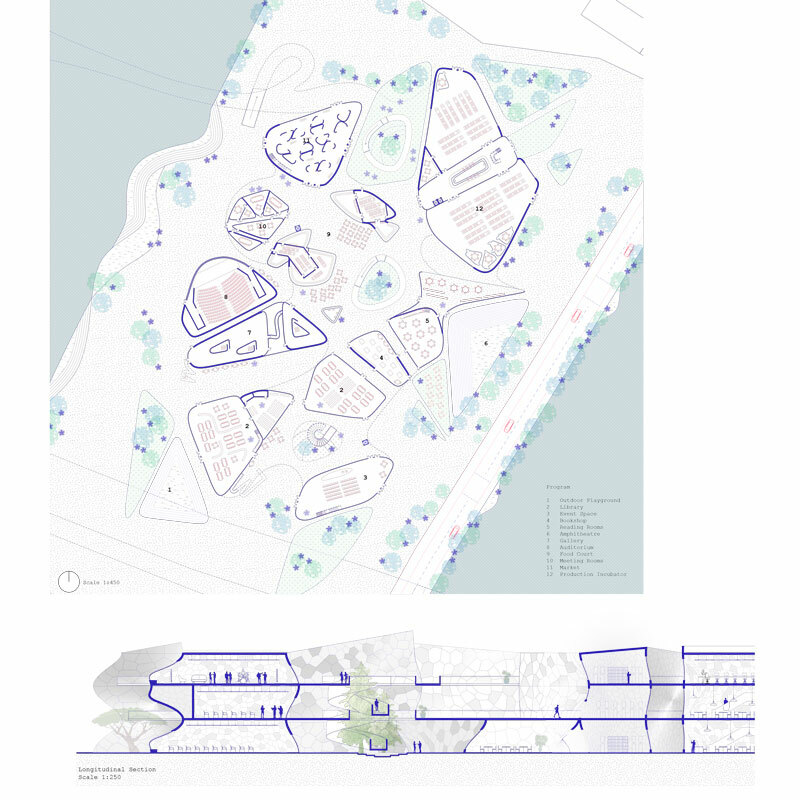 Here the city was understood as layers of information that put together revealed drawing and mapping qualities, which fed into the students’ own design narratives. 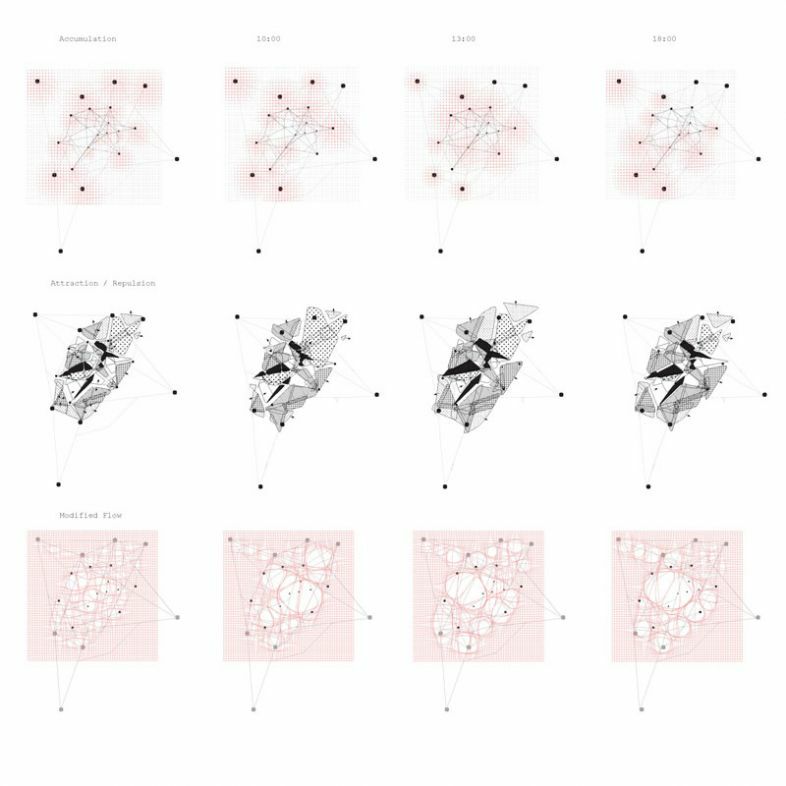 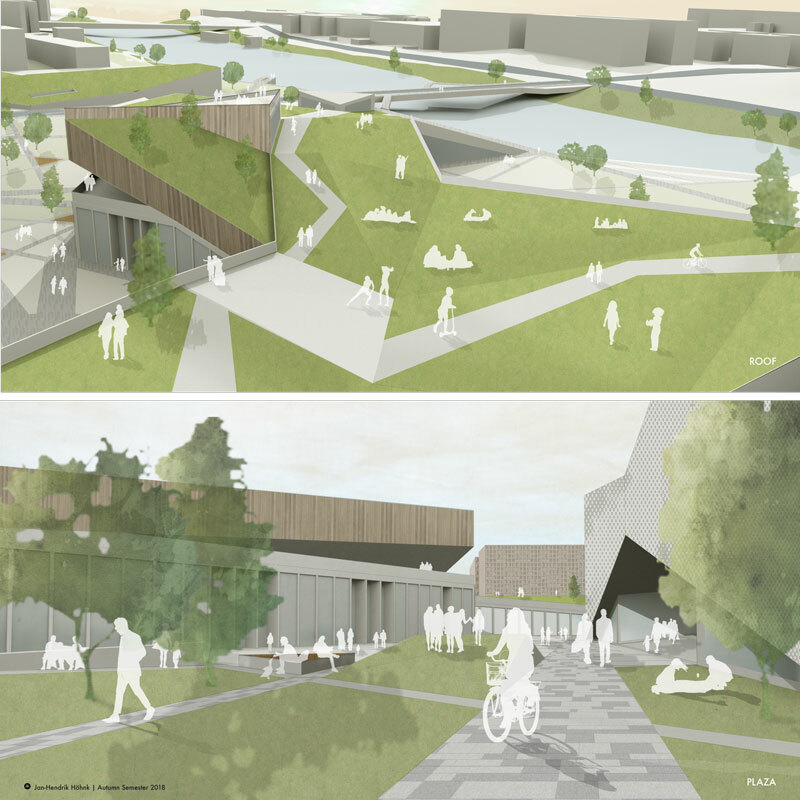 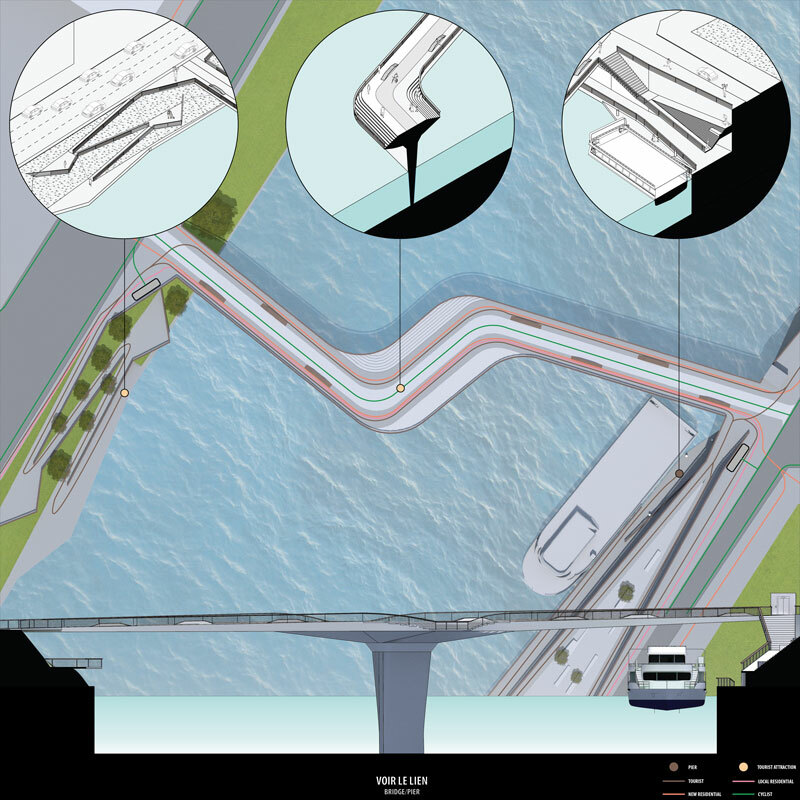 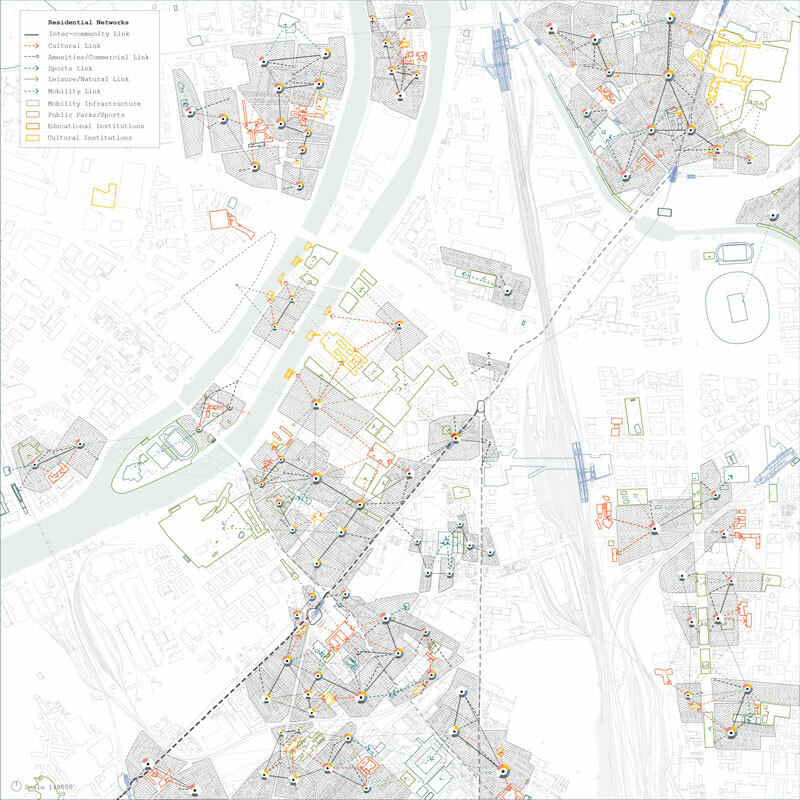 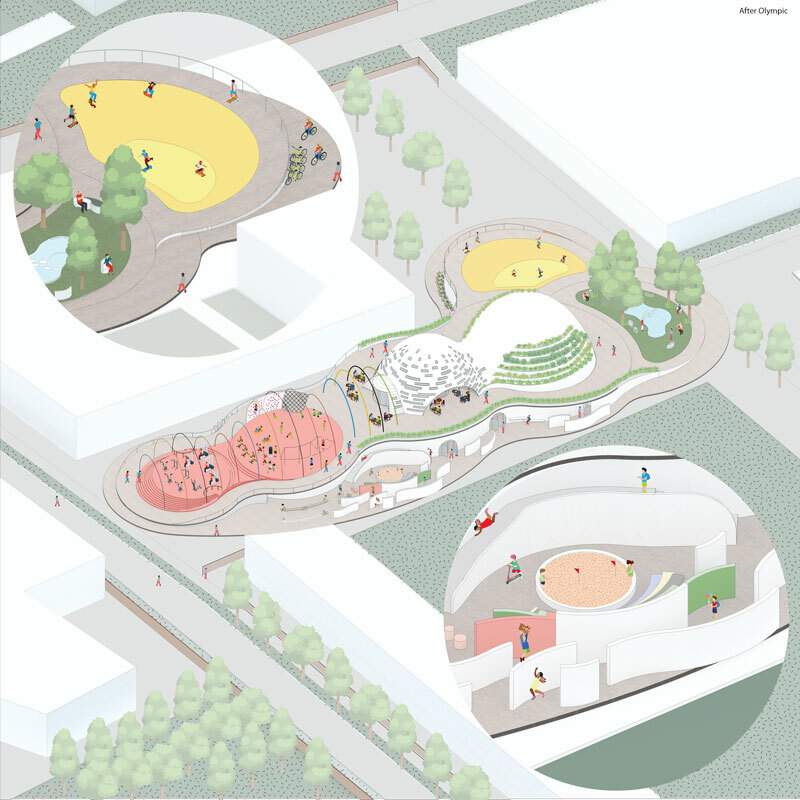 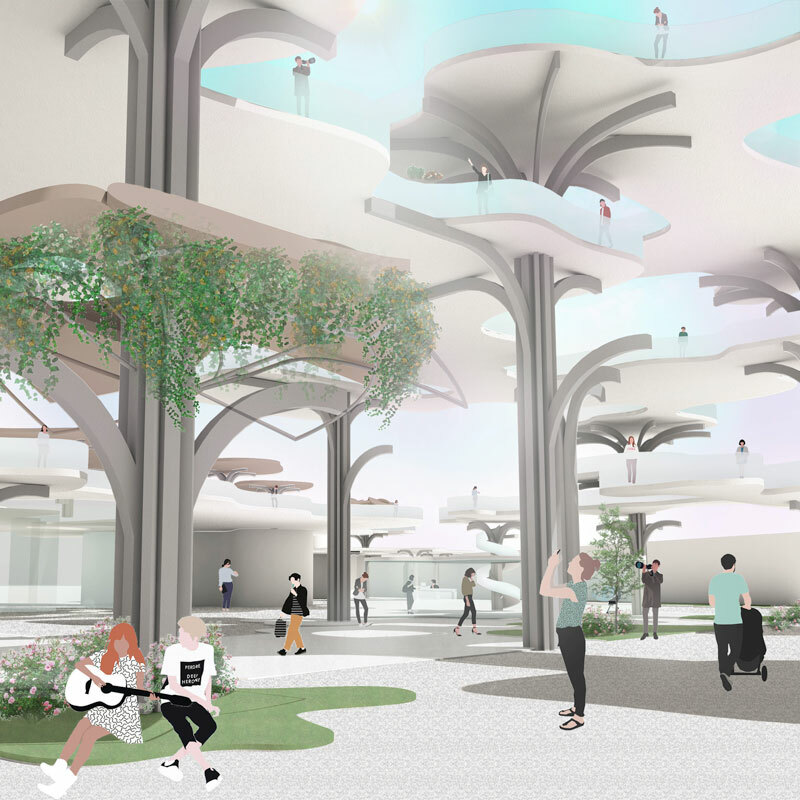 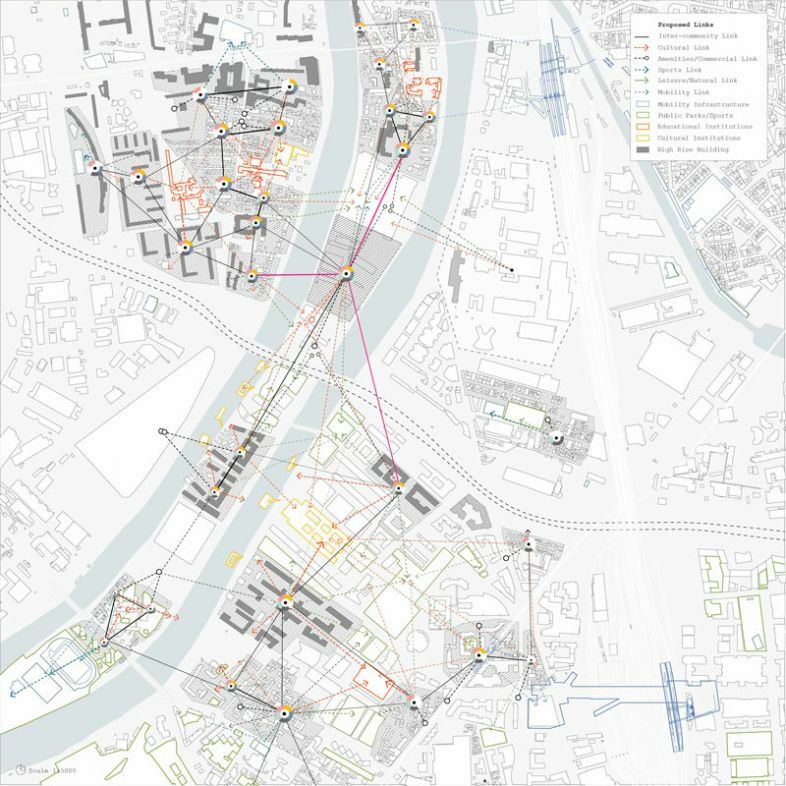 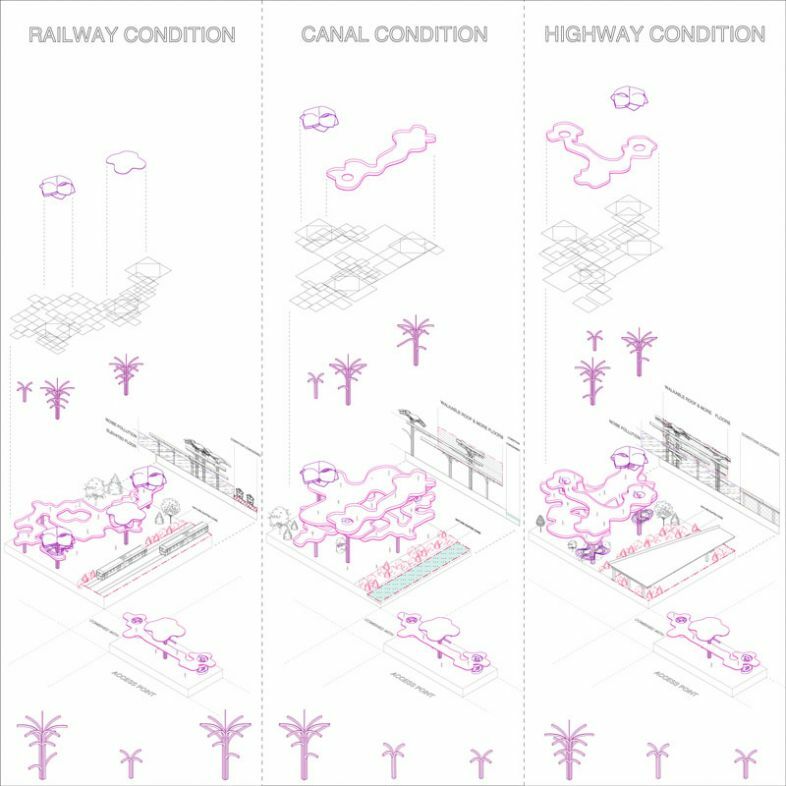 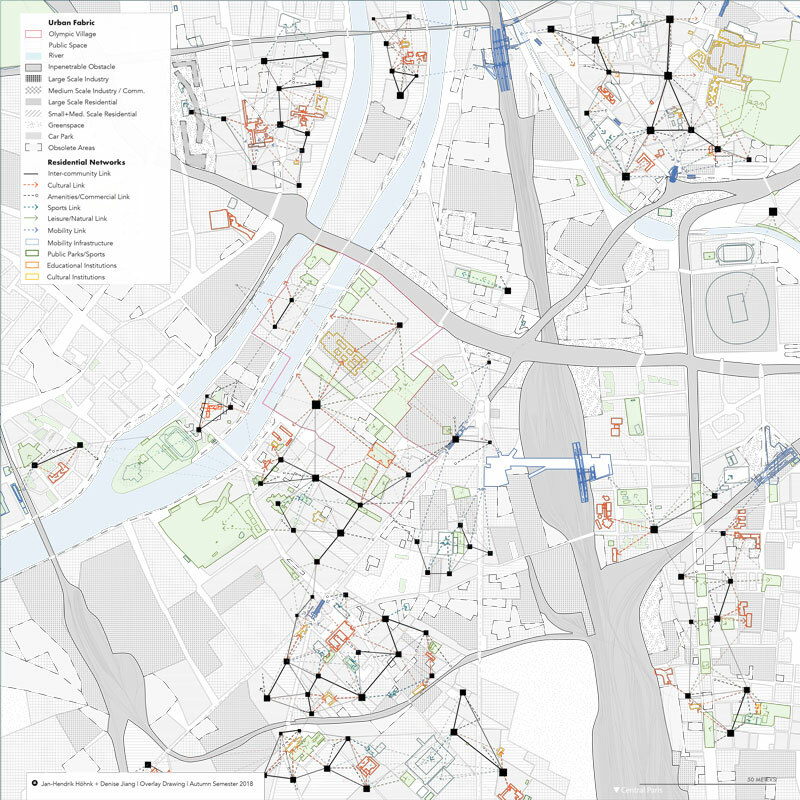 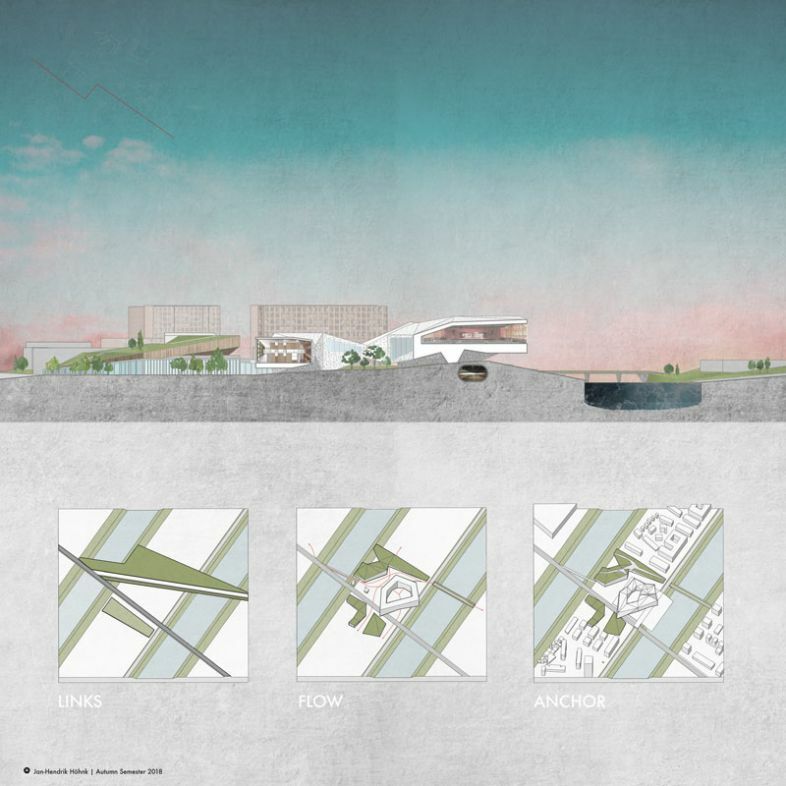 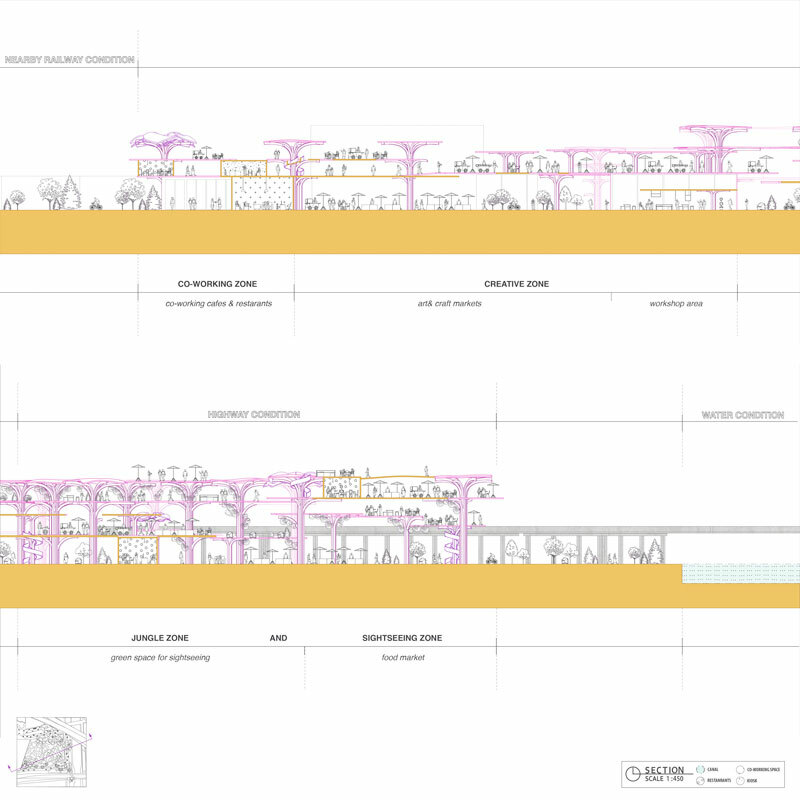 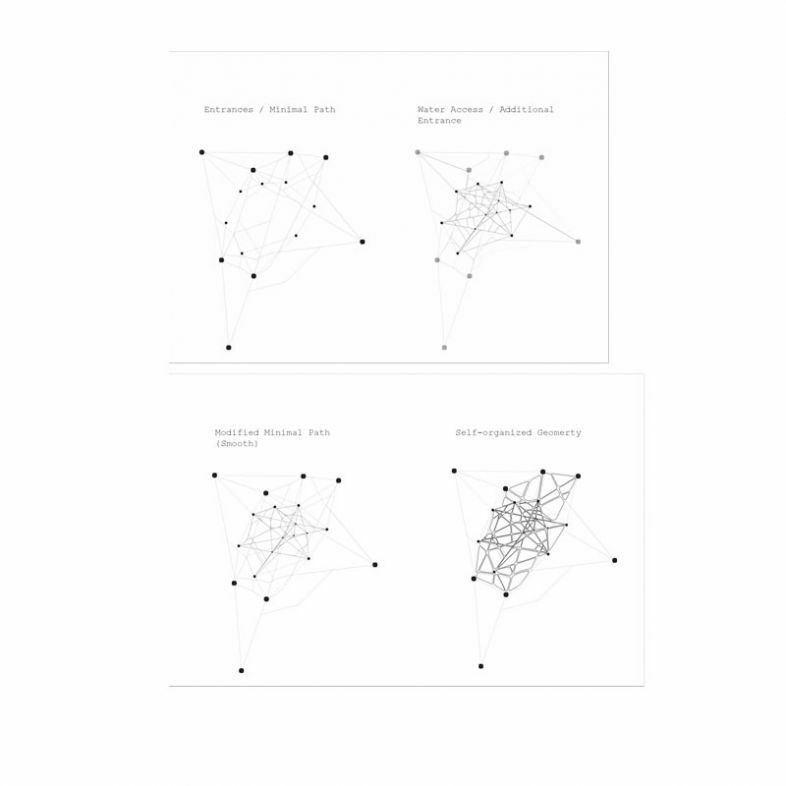 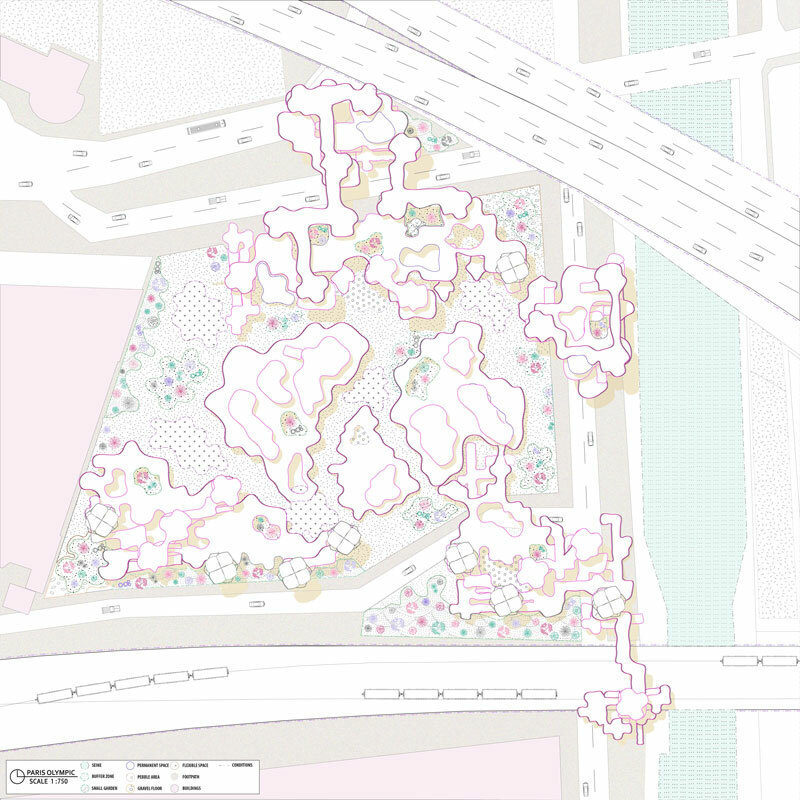 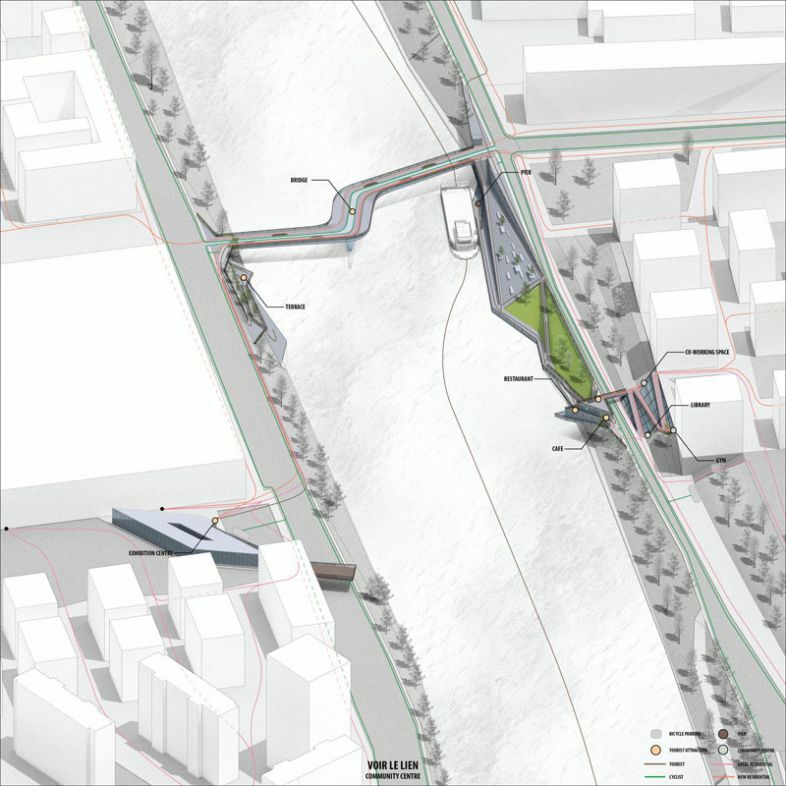 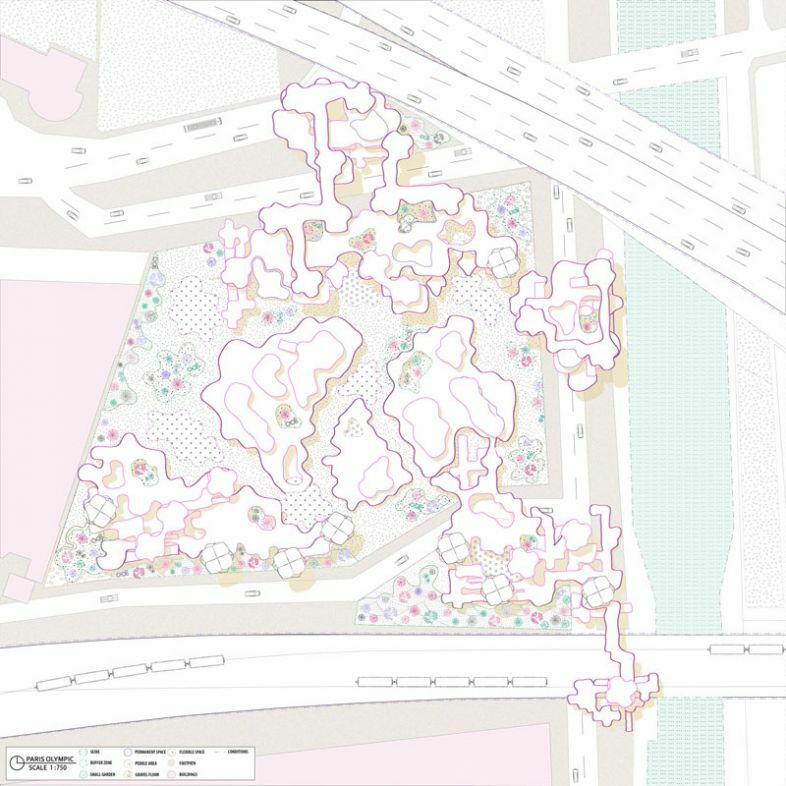 By analysing both tangible and intangible conditions, each student developed their own brief to target specific design challenges of re-introducing old infrastructure into changing urban areas. 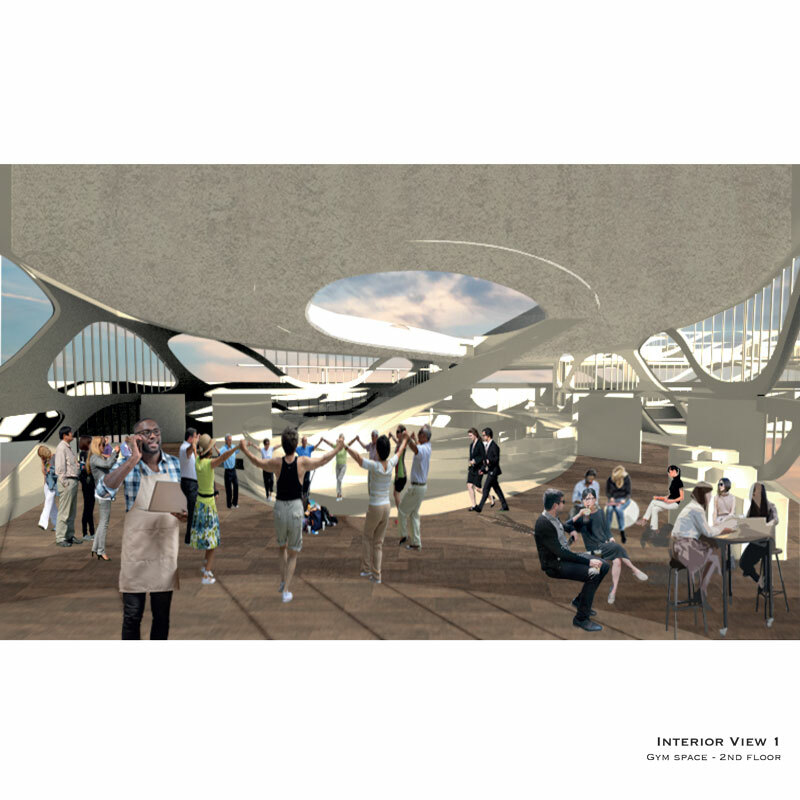 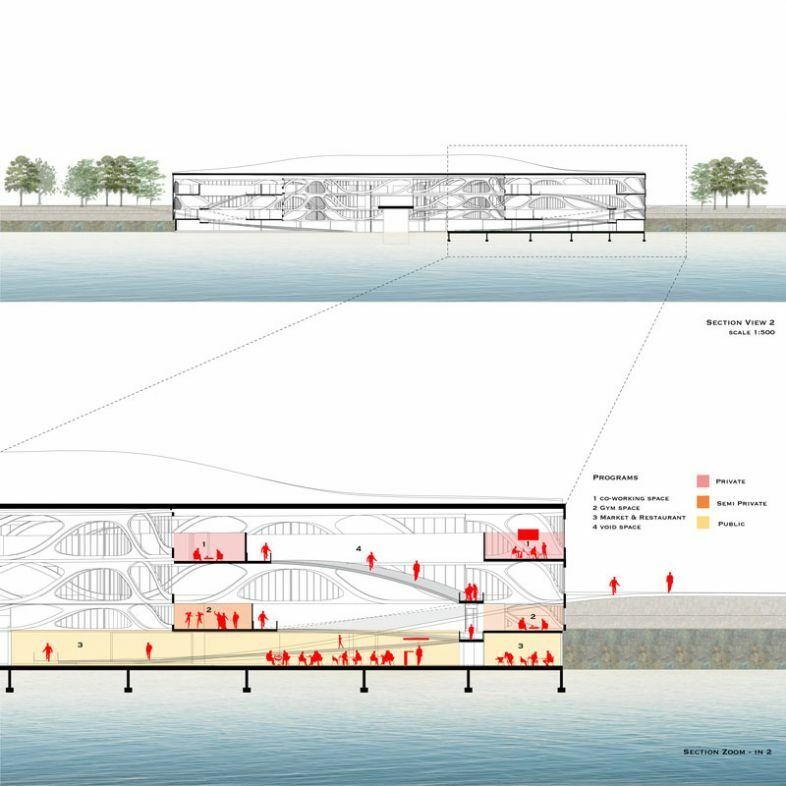 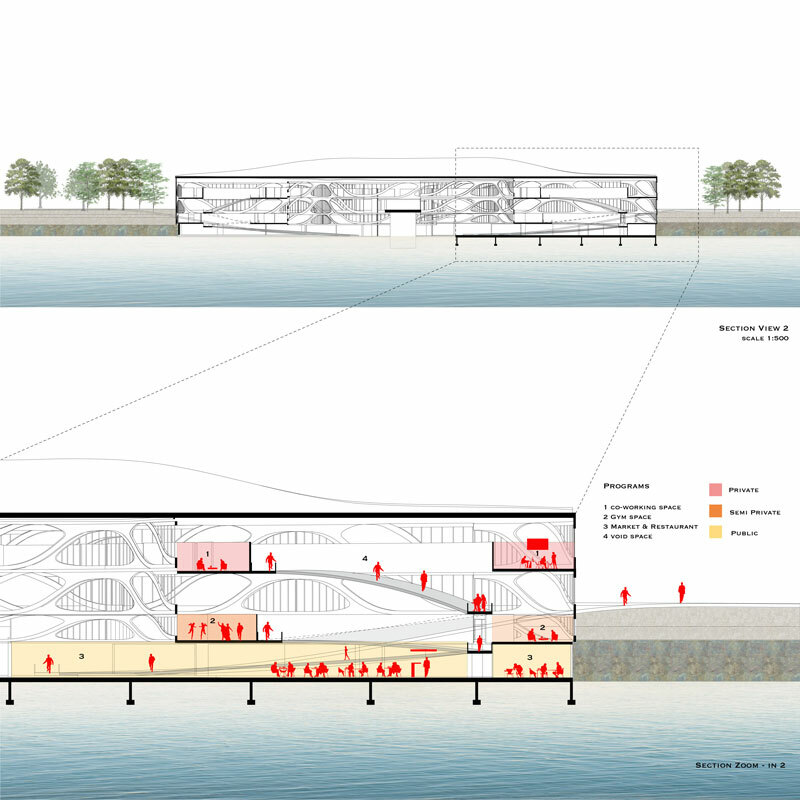 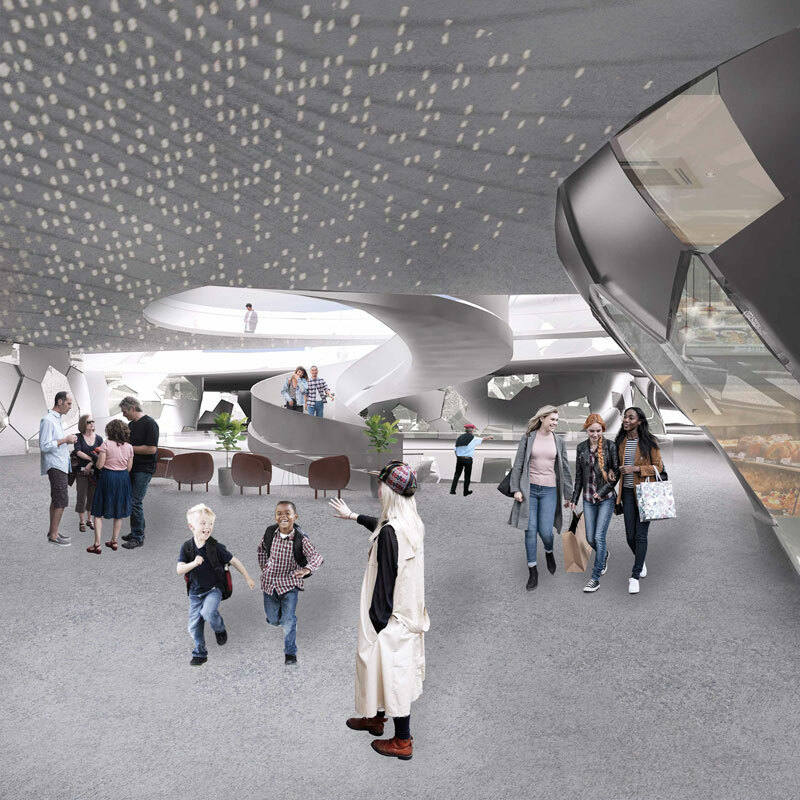 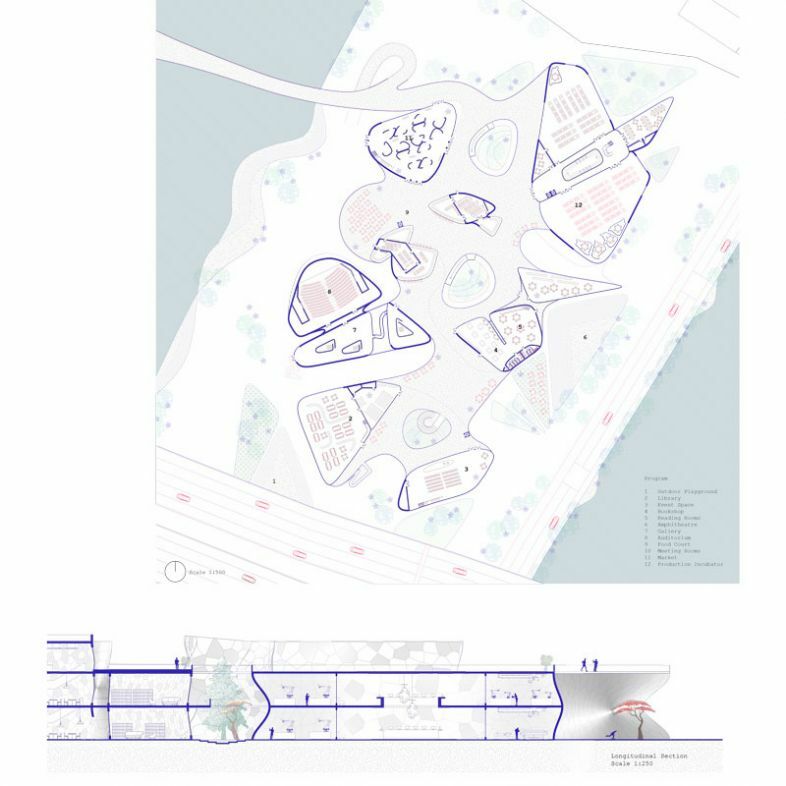 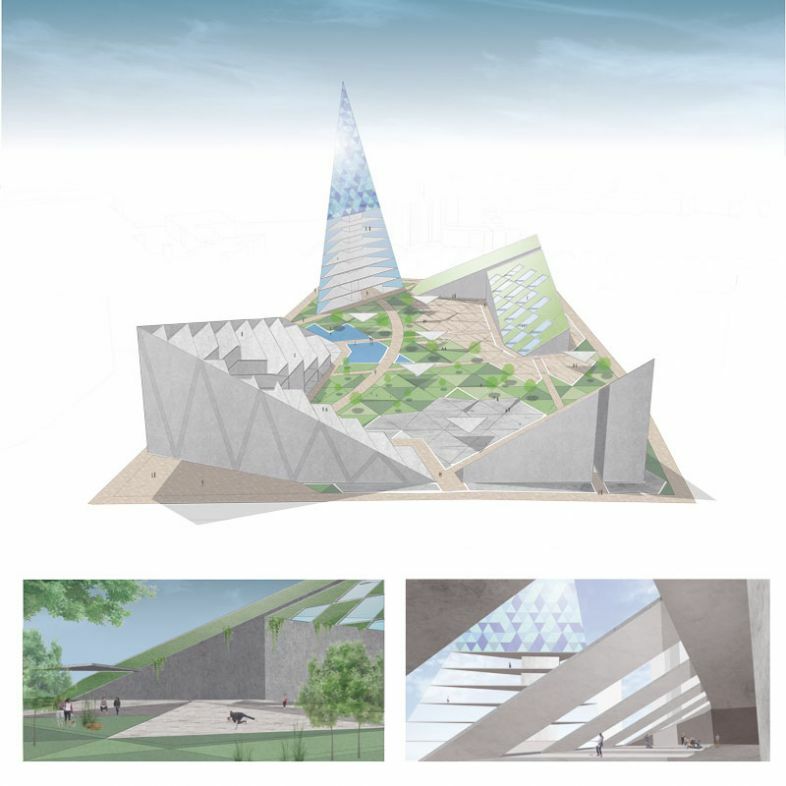 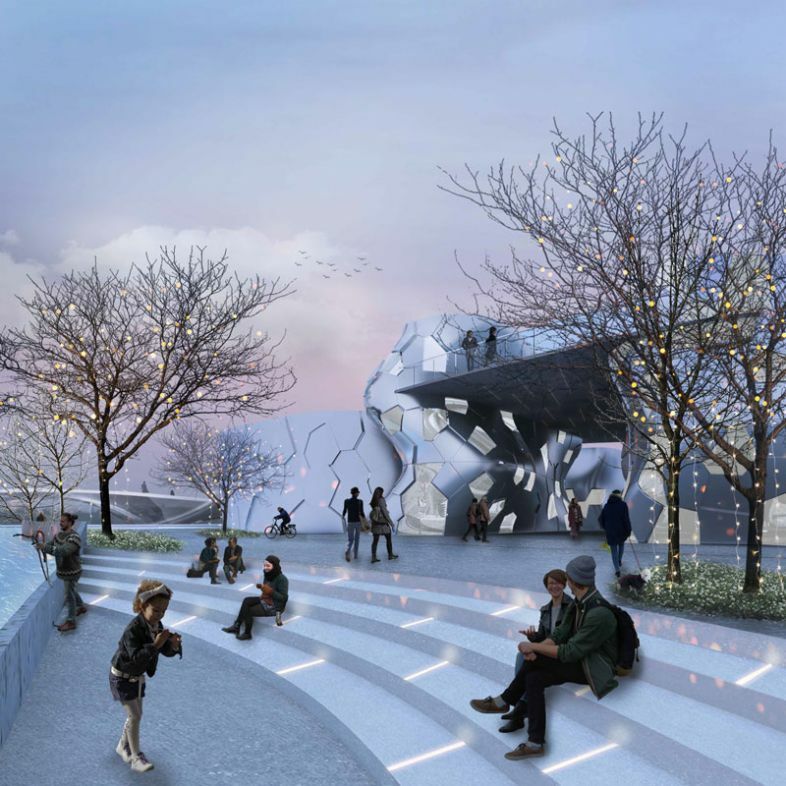 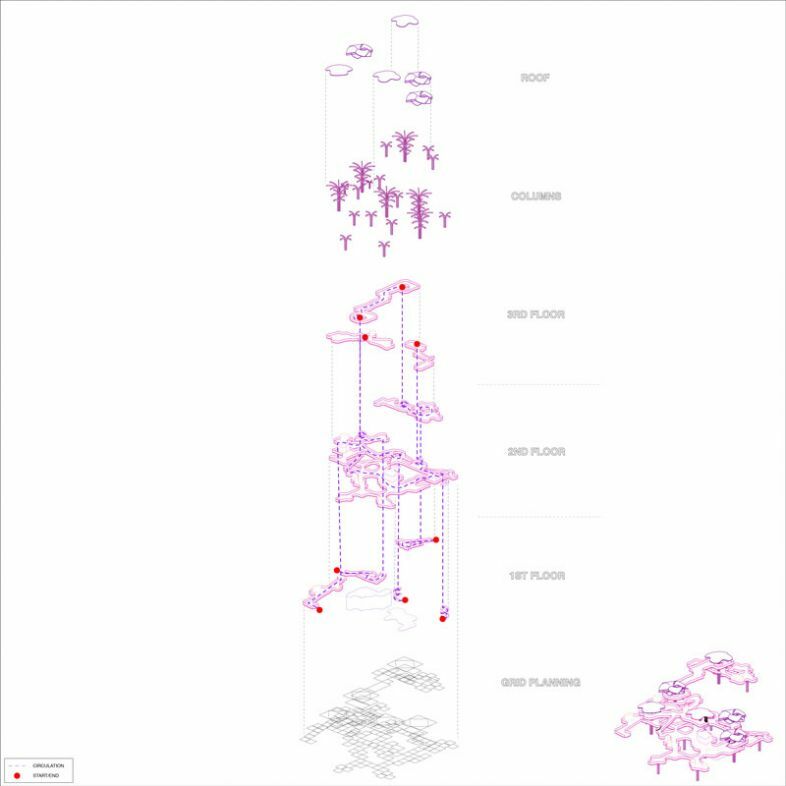 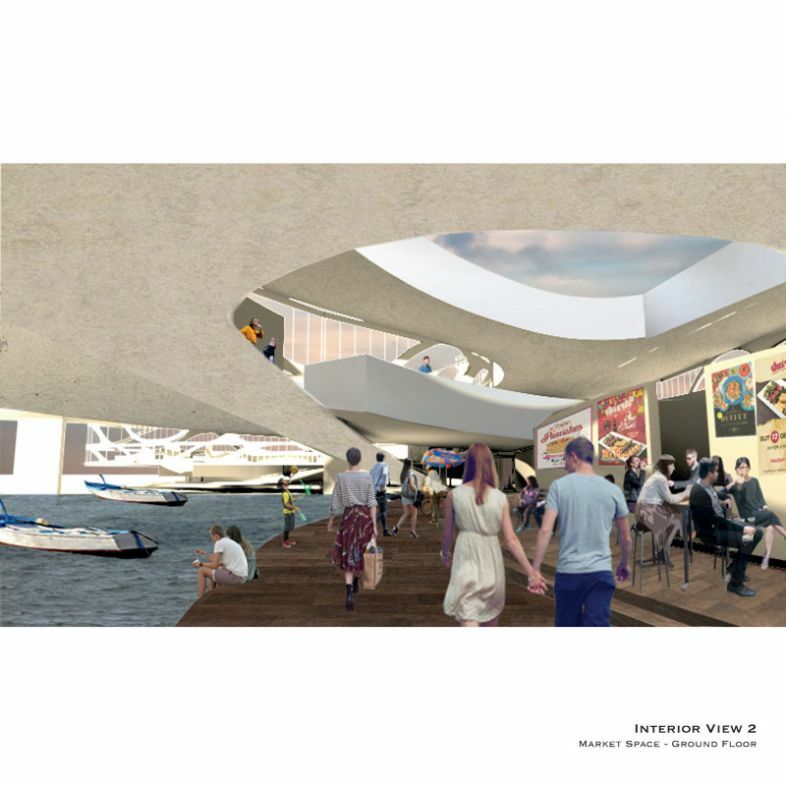 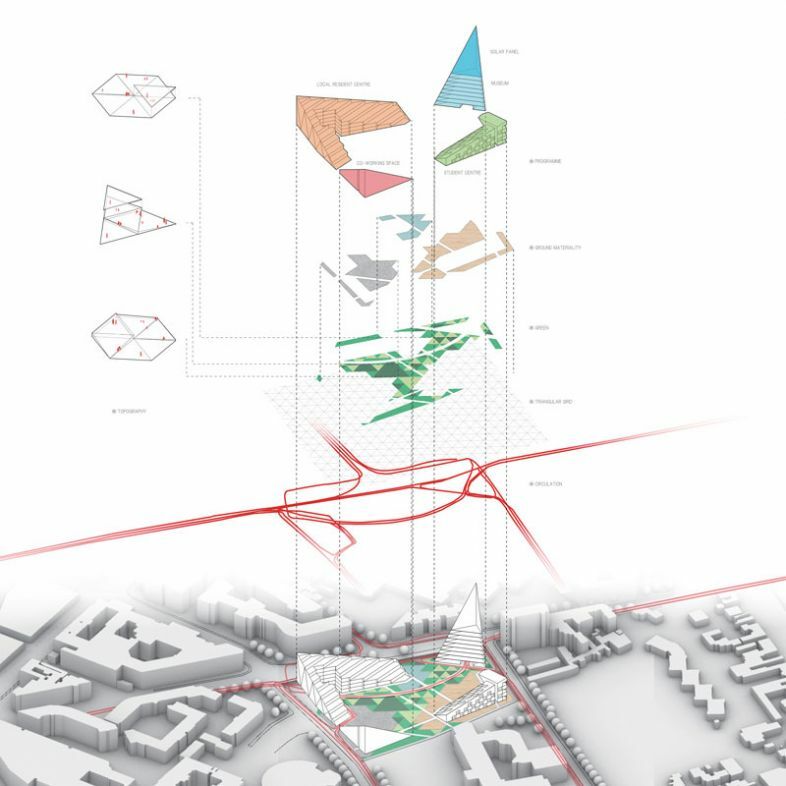 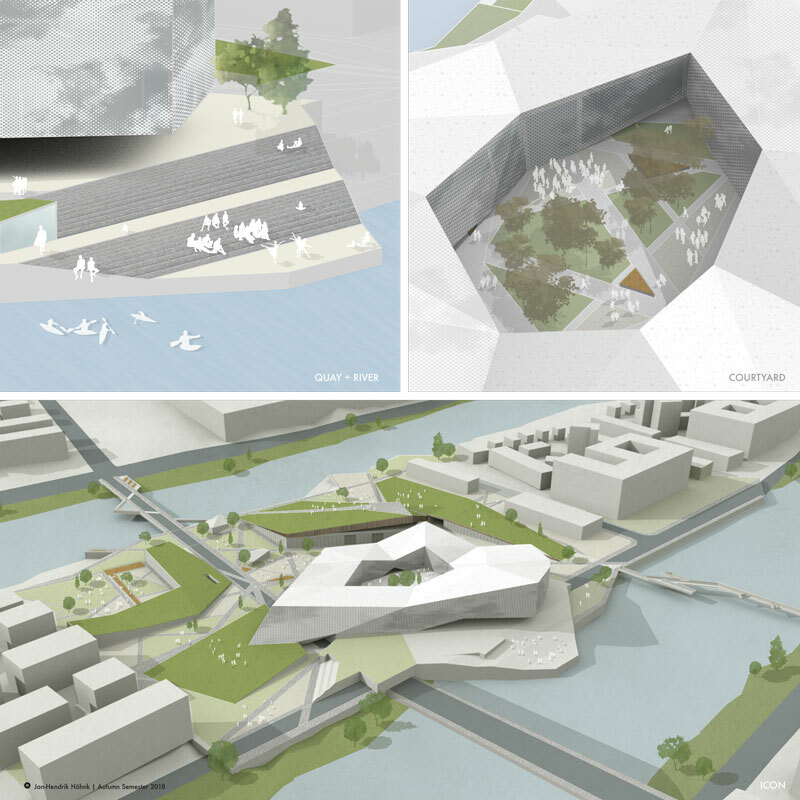 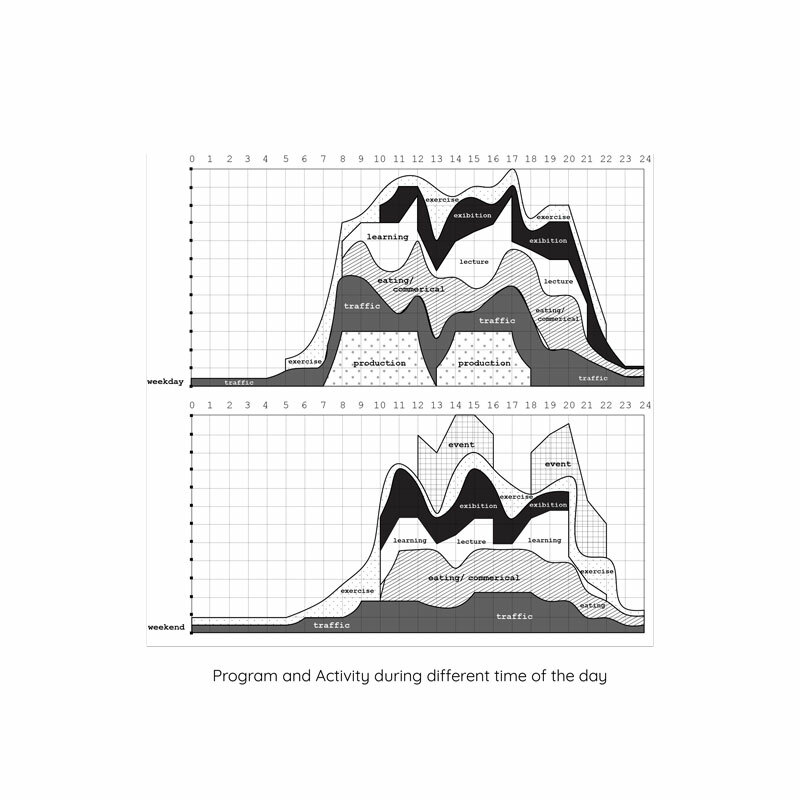 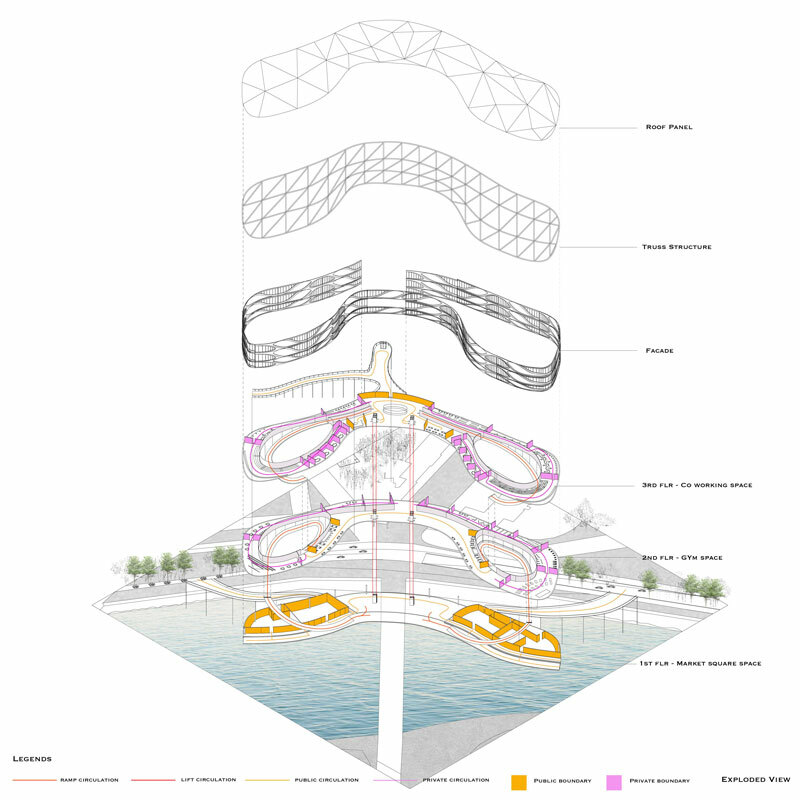 Design proposals were be multi-scalar in scope, enabling architectural propositions to respond to a larger narrative relating to the aesthetic, programmatic and socio-economic capacities of the city and its infrastructure. 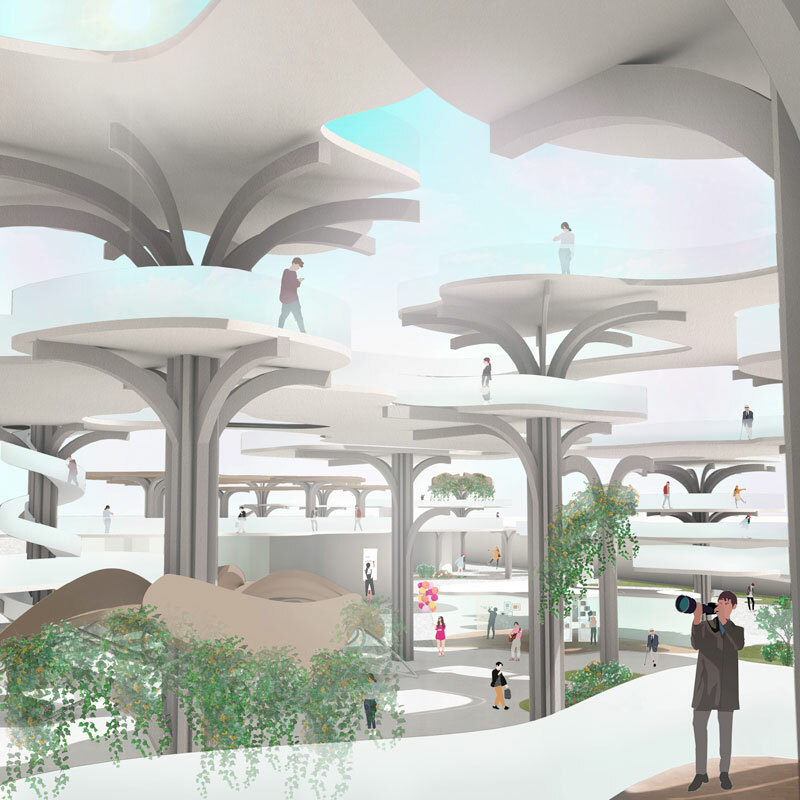 Students were invited to explore their own aesthetic style as an outcome of the progress, and the ongoing dialogue between two- and three-dimensional representation revealed unpredictable qualities that inspired their design narratives.